Nor'Easter Nemo is upon us, 24" of snow in Newburgh, Maine. Young men all across the globe are thinking of spring time, ice out and prom season. In prep I would like to show you a fly I have been working on called the "Senior" Prom Dress. The prom dress is a new age steelhead fly made popular by Scott Howell and he has hooked some hogs with it. 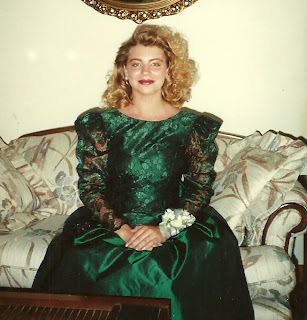 We all remember prom season, lots of prep for the big night.... the excitement of finding or asking the right date, friends, dancing, the potential of a late night encounter.....a tug even ? These are the same things a fly fisherman is looking for , I hope this Step By Step helps lead to a tug for you. The only note I would like to add is that is not a Junior Prom Dress. Junior prom was a simple time, lots of coverage, long bland colors, a more adolescent time. The Senoir Prom was a bit more wild, flashy colors, low cut tops and short skirts.... this is what we are looking for . back to cover her far side. i'd take that lady to the prom. Great step by step Jasper. Bring a few of those down to the boat this year and we'll test their durability! Muskie on the fly...Wilkie vs. Walsh....who will strike first?! ?